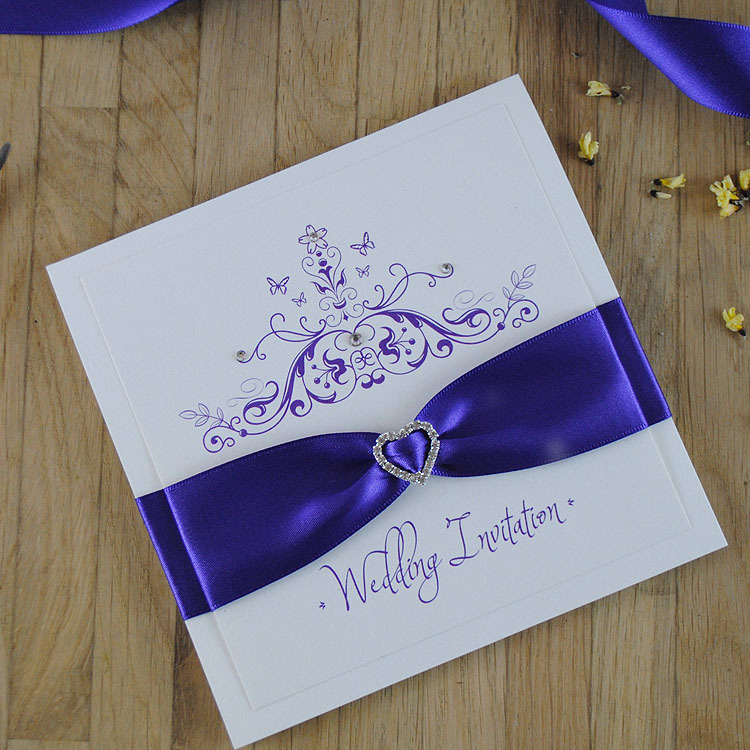 We create beautiful handmade wedding invitations, custom designed in your chosen colour theme and personalised with your wedding details. 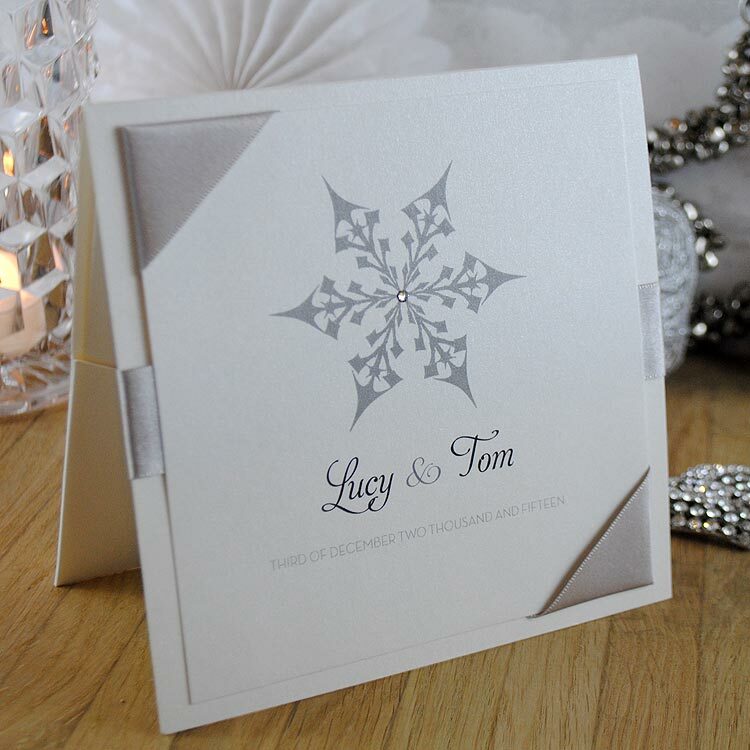 All of our designs are printed on fine quality 300gsm embossed board available in white or ivory. 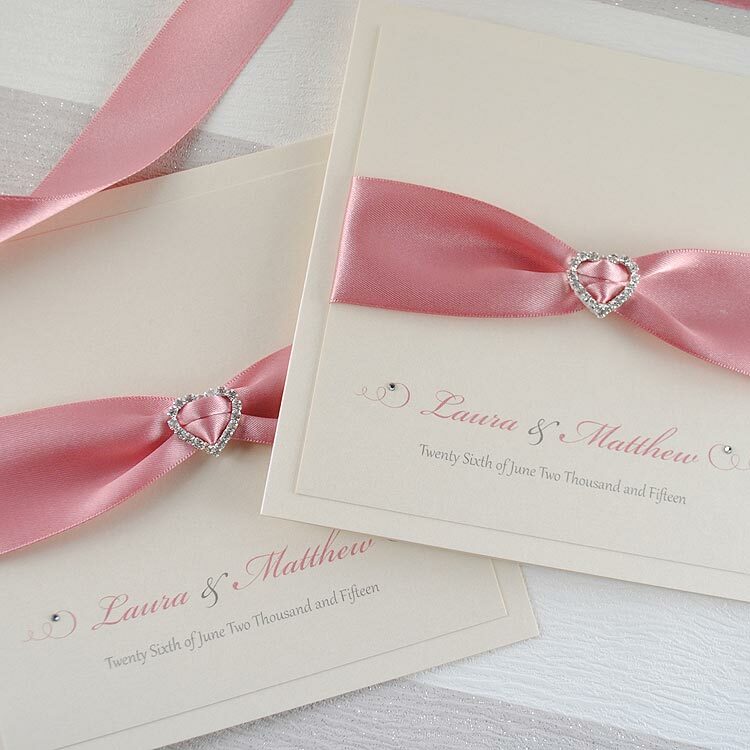 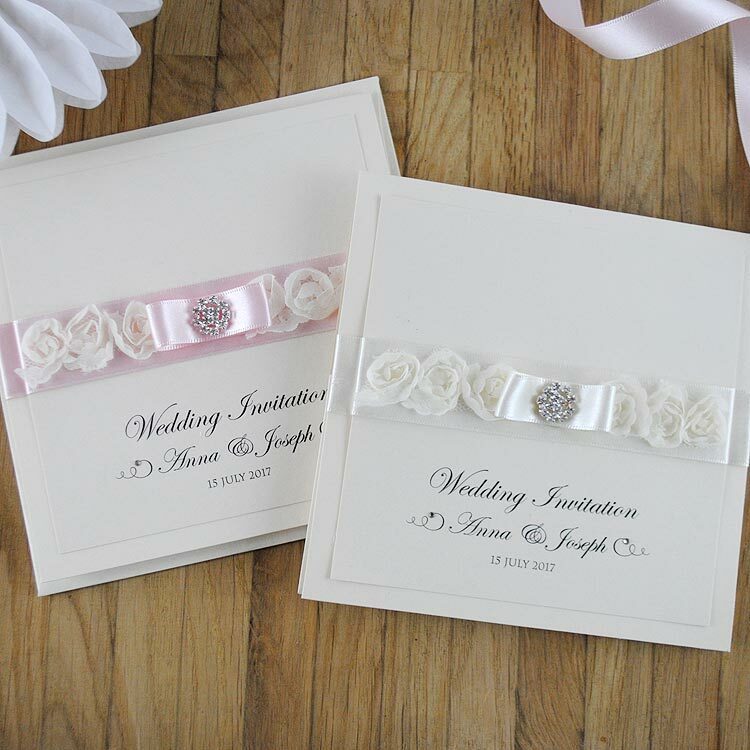 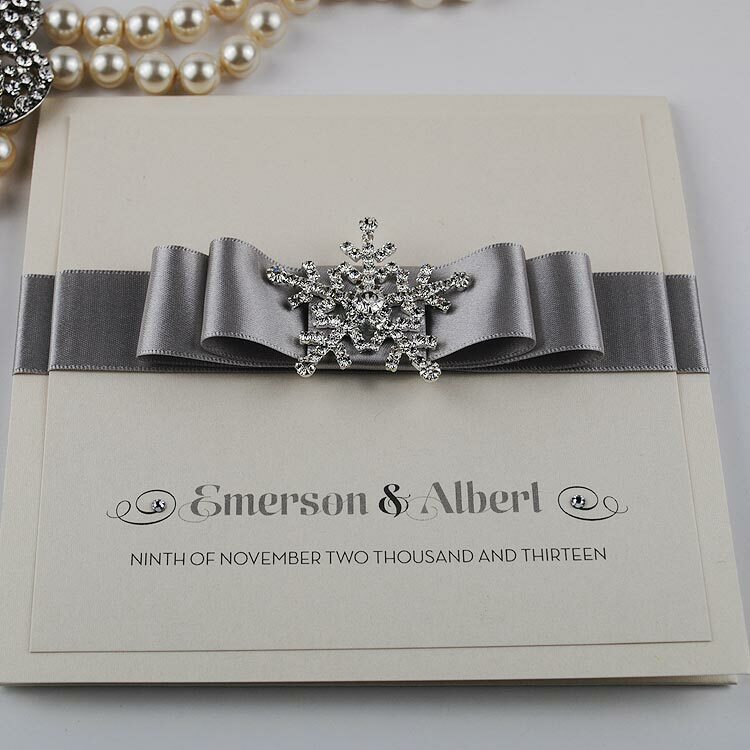 Choose from our wide selection of elegant handcrafted invites available with satin ribbons, beaded lace, charms and diamonté crystal clusters. 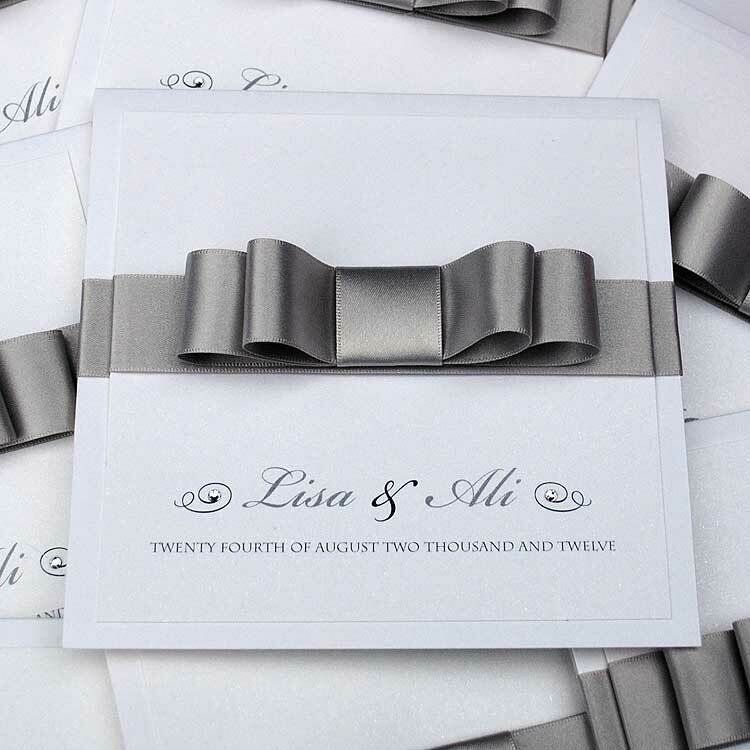 We offer different styles of invitation available to suit your event – pocketfold invitations, folded card style invitations and flat one-piece invitations.We also offer reply cards with menu options, information cards or booklets for all your extra info – directions, accommodation details, menu details and gift registry details. 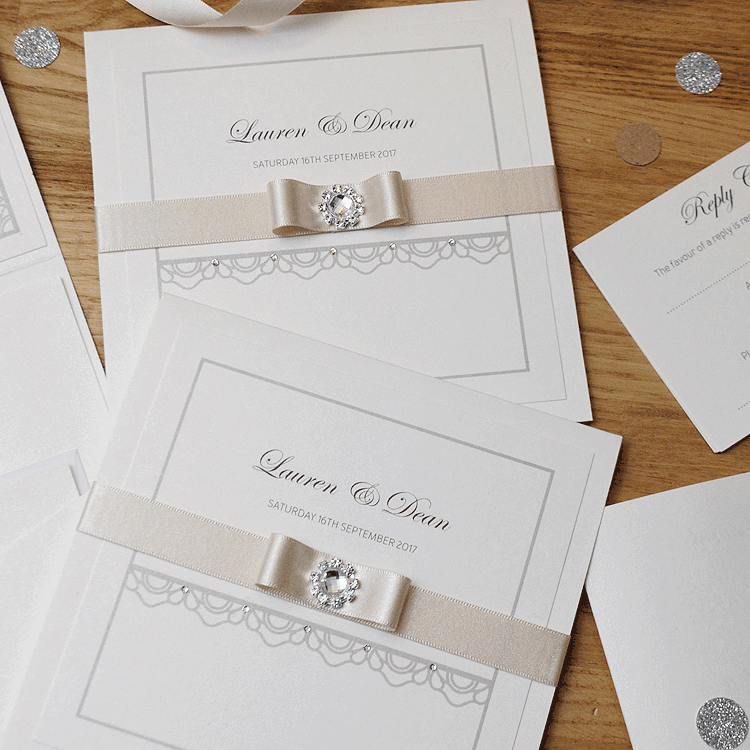 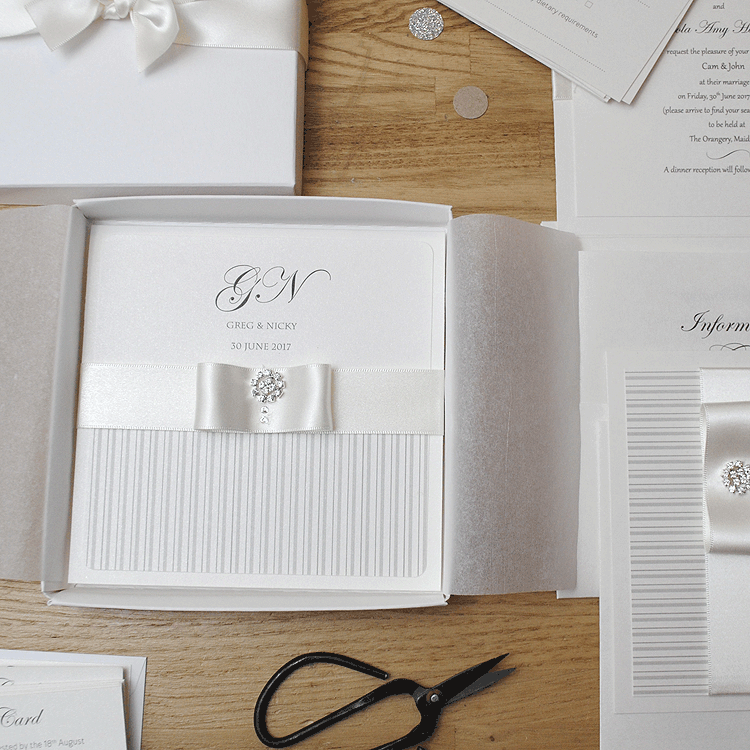 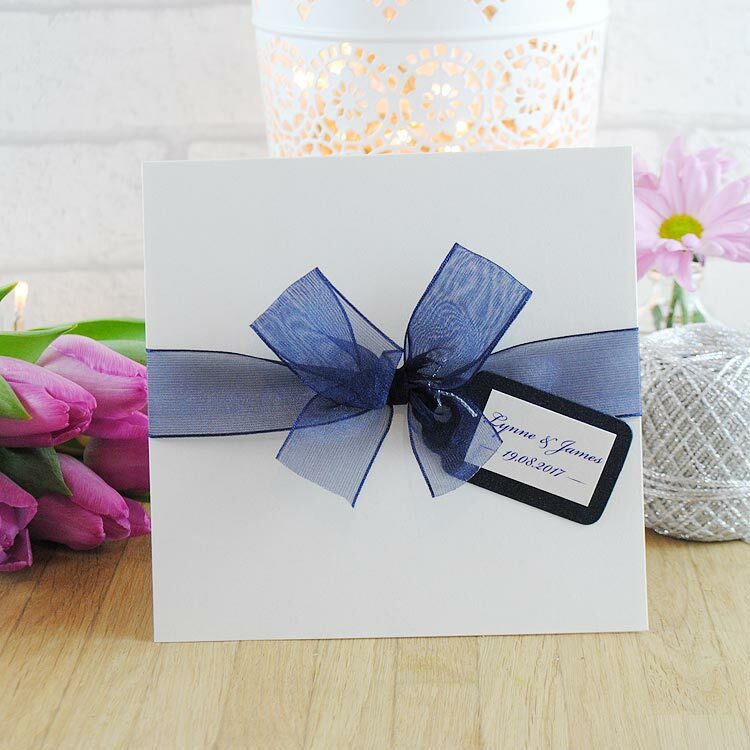 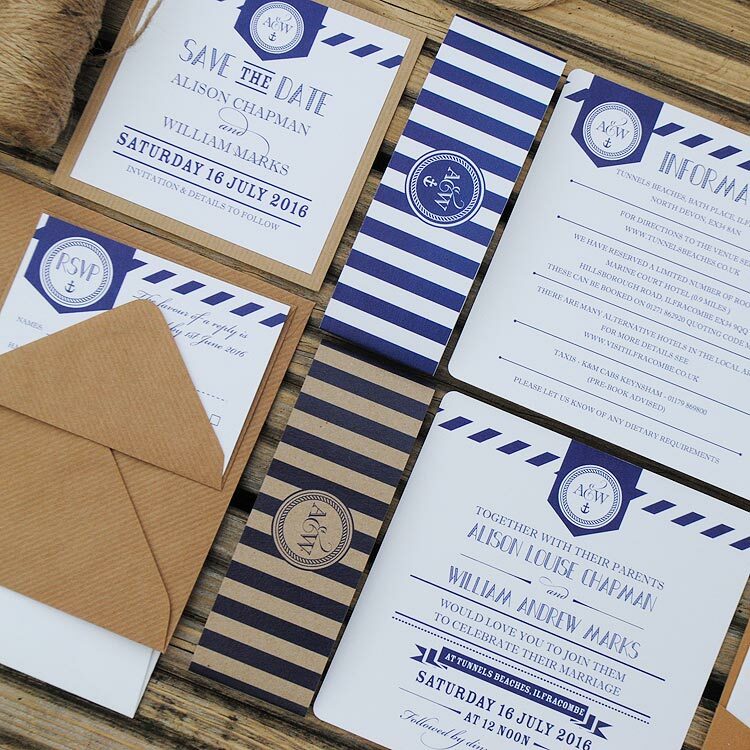 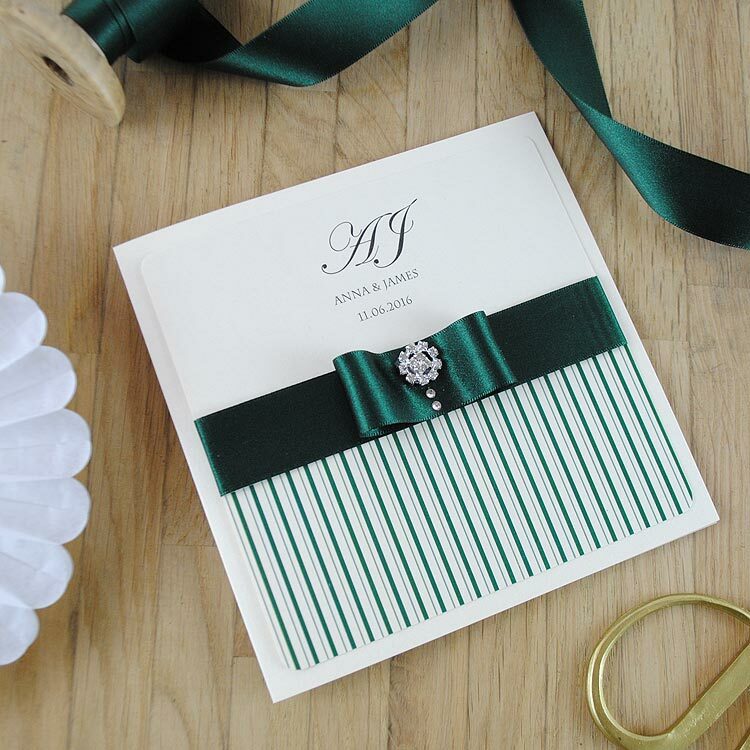 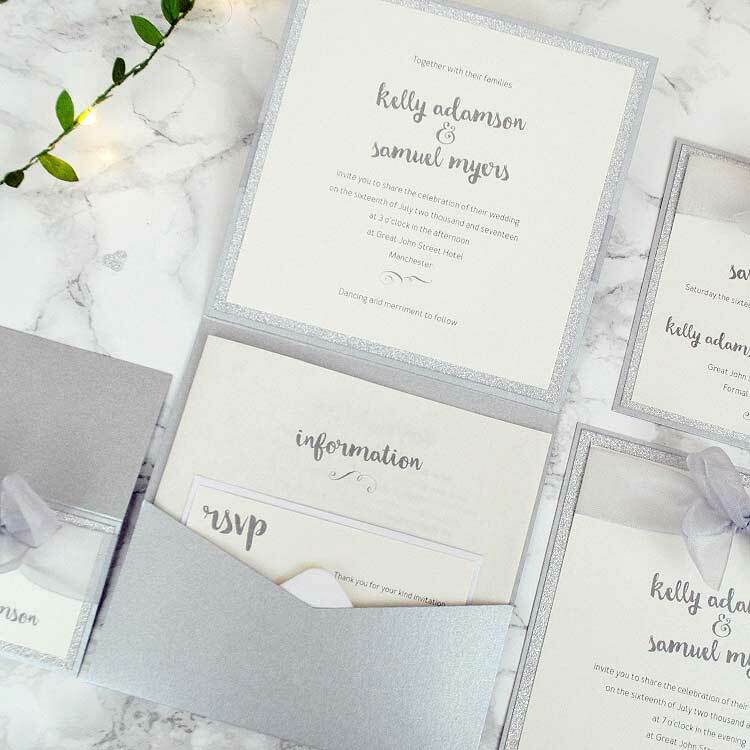 All wedding invitations are supplied with a quality pearl envelope in white or ivory as standard or for added ease opt of luxury handmade peal and seal envelopes. 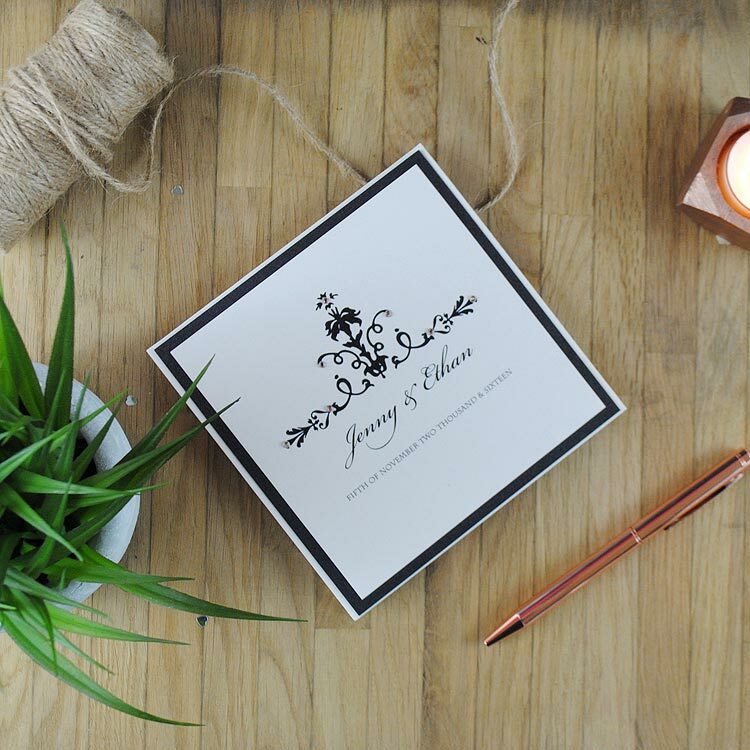 Or for the ultimate wow factor upgrade to presentation boxes lined with tissue paper. 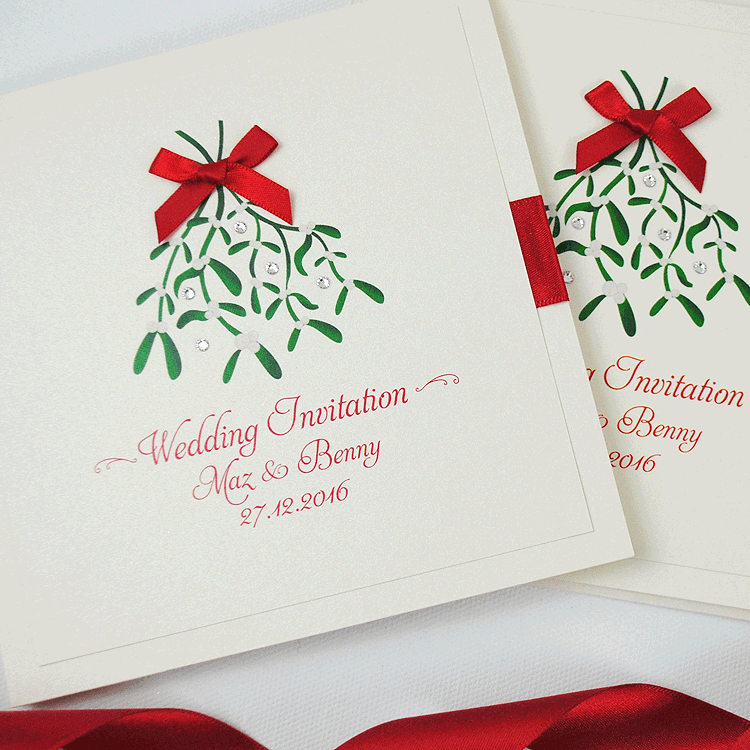 Looking for a neat and hassle free finish? 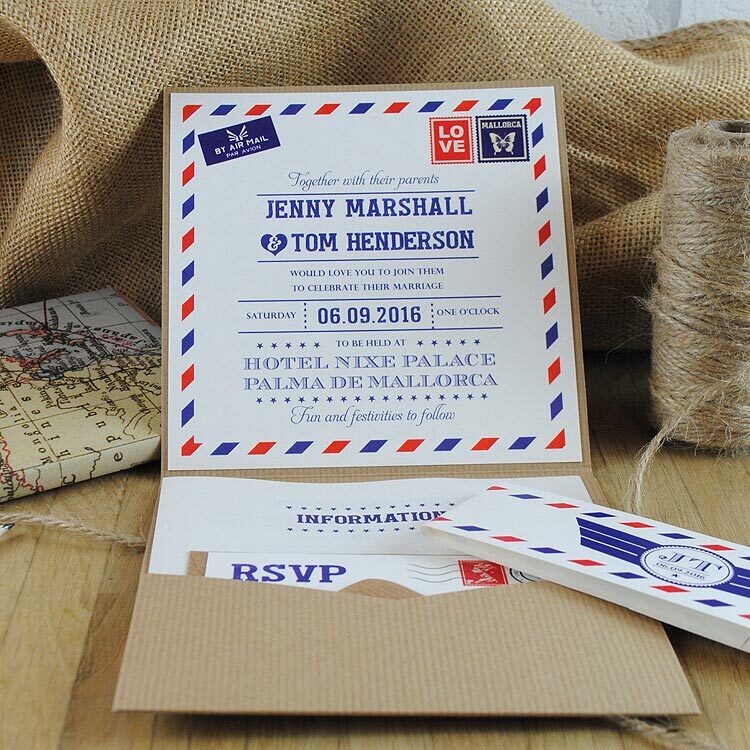 Take advantage of our personalised printing service and have your guest names and addresses printed on your invitations and envelopes. 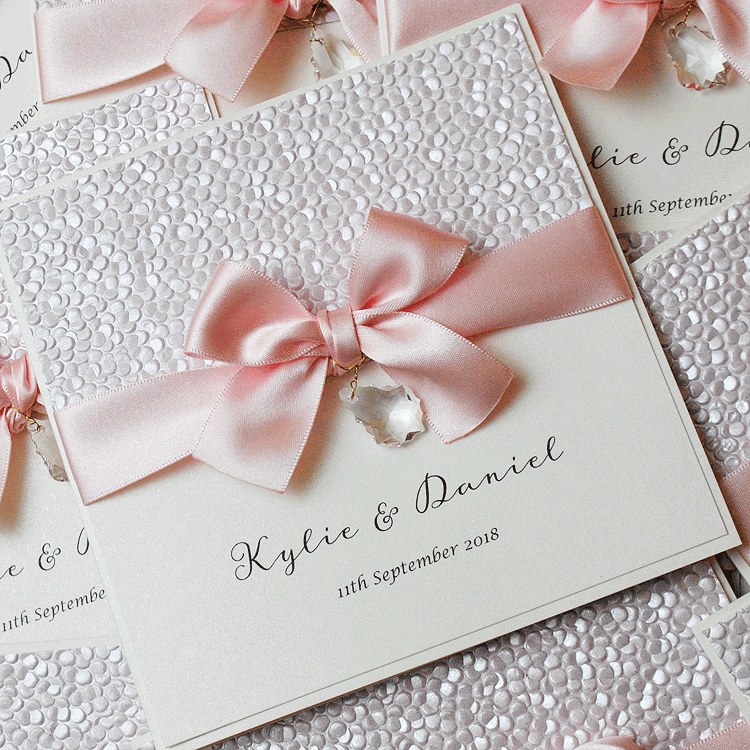 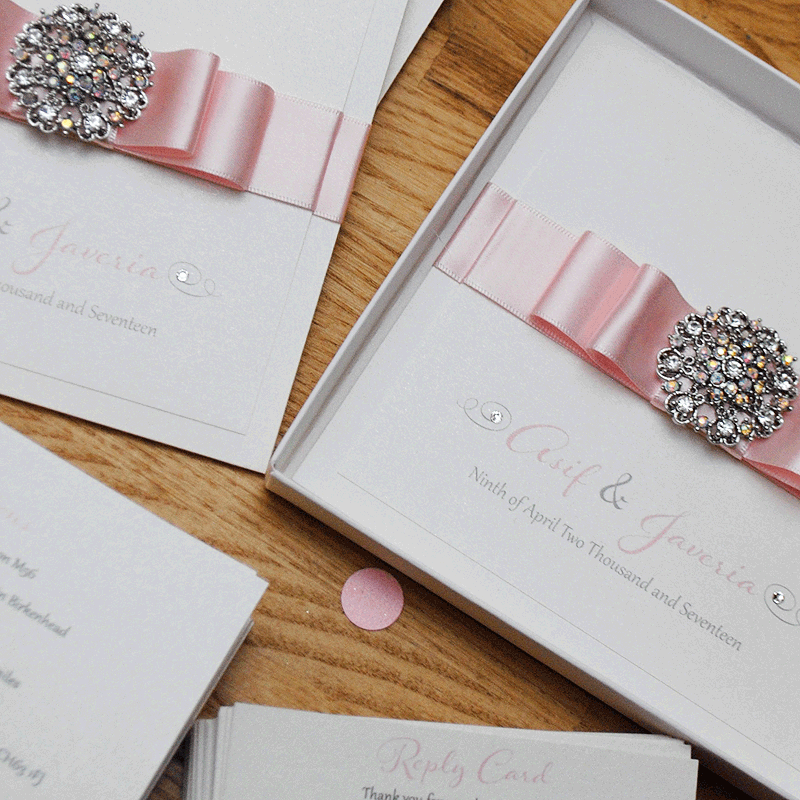 Contact us with your requirements to order your personalised wedding invitations today!